The second-worst-kept Silicon Valley secret (this week) has come to pass in Cupertino, Cal. Apple has secured online rights to The Beatles canon. Sales started at 6:30 a.m. Pacific time on Tuesday. No small feat, this. The companies have been trading lawsuits since 1978, starting with the Apple name and logo. For context, all four Beatles were still alive then. Pricing for the songs is $1.29 per song and $149 for the 'Beatles Box Set' -- which includes all 13 albums. The Wall Street Journal first reported the rumor on Monday, and this morning Apple confirmed it with the announcement. By adding The Beatles, only six major acts are not listed on iTunes: Kid Rock, AC/DC, Bob Seger, Garth Brooks and Tool. 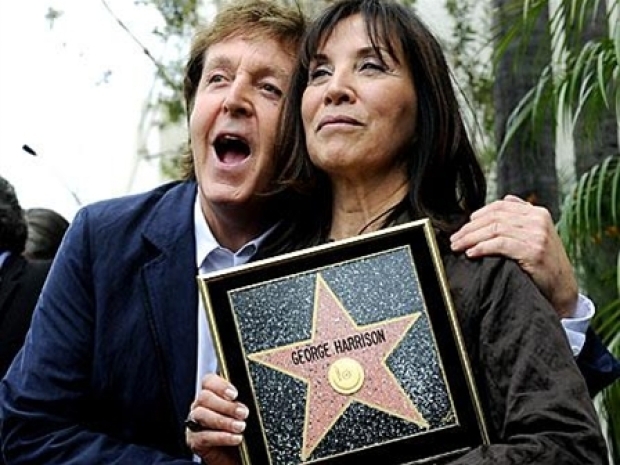 Hundreds of fans and friends, including Paul McCartney and Tom Hanks, celebrate as former Beatle George Harrison receives a posthumous star on the Hollywood Walk of Fame. 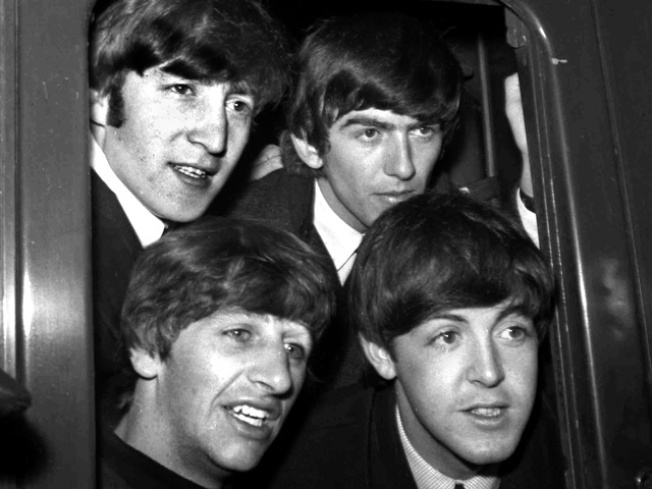 Recorded music sales have been falling hard since the days of Napster, but The Beatles have maintained their market oomph. In 2009 they sold the third-highest number of albums of any act in the U.S., according to Nielsen SoundScan, with 3.3 million copies sold.